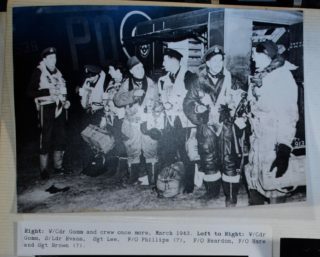 F/O (126448) (Thomas) John Phillips, Air Bomber 467 (R.A.A.F) Sqdn. 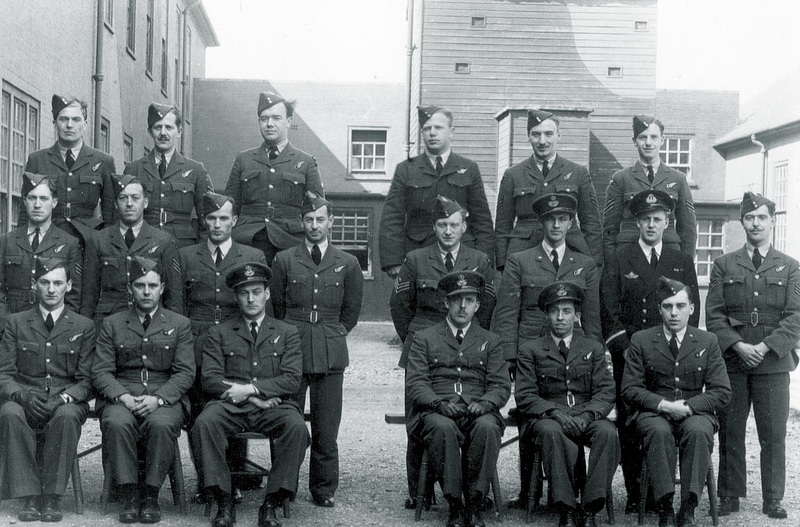 I recently discovered that Thomas John Phillips, an Air Bomber in 467 Squadron in 1943, operated from Bottesford. (Thomas) John Phillips was my godmother’s son. The Phillips family, Ada, Ernest, his parents and John, lived in Wellington, Shropshire at that time. 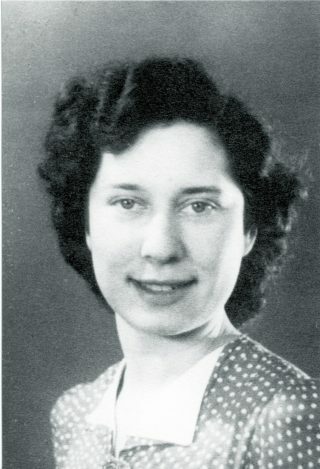 My mother, Marjorie also lived in Wellington. John was born in Warwickshire in 1923. After Primary school he won a scholarship to Whitchurch Grammar School. There he won the school’s heavyweight boxing championship cup in 1939. 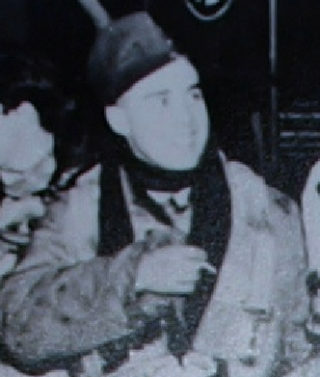 He was also a keen rugby player and attained the captaincy of the first XV. 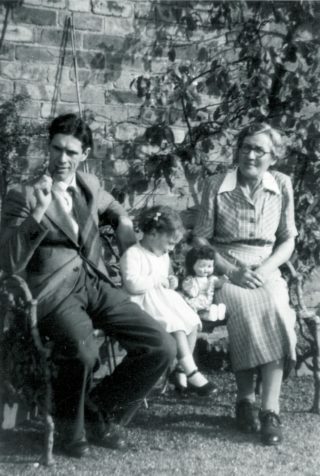 The family moved to Shropshire in 1939 when John entered the employment of a Wellington solicitor’s practice. 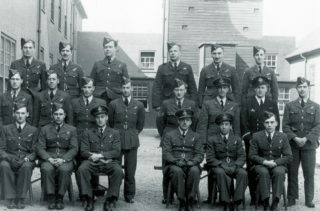 Then in 1941 he volunteered to join the RAF. Marjorie was born in 1923 too, and lived all her life up to 1943 in Wellington. She was an accomplished piano player and had reached Grade 8 in her Pianoforte exams. She wanted to become a teacher, so she was studying to do her “Emergency training” as it was called in 1943. She successfully completed her course and started teaching at a small primary school at Bourton, not far from Wellington. John and Marjorie had met while living in Wellington, and they became close friends, writing to each other when they were both away training. As was expected during a war, John was required to write a last letter to his significant friend, or family member, in the event of his death. He wrote to Marjorie. My mother Marjorie, and John’s mother Ada consoled each other and always kept in close touch. 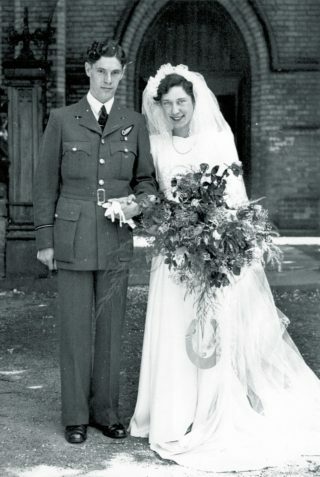 Two years after John’s death, my mother met and married another RAFVR navigator from 40 Squadron. He had done his tour of duty and had been posted to 83 OTU at Peplow in Shropshire. 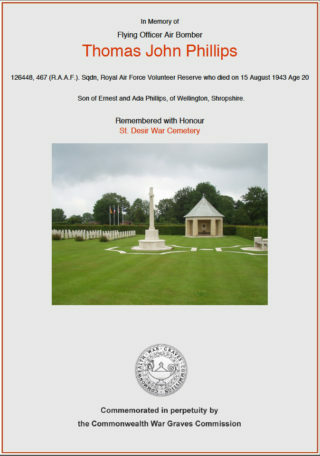 He was 174661 Fl/Lt Fred Rooke. When I was born in 1947, Ada Phillips became my godmother. Her son John could have been my father if he had lived! This page was added on 07/11/2017.